For the Bellingham School District, Freelock put together a large, multi-faceted Drupal site for district-wide information and standardized sites for schools within the district containing individualized content. Freelock created custom department menu functionality and directory lookups for the district site, as well as providing extensive training material, ongoing consulting, and importation of several thousand pages of content previously managed using Dreamweaver. An essential principle at Freelock is our commitment to develop a strong, long-lasting relationship with each of our clients, and Bellingham School District is no exception. Freelock implemented an approval workflow for article publishing, integrated content from several other systems, and set up a Single-Sign-on authentication system using the District's Active Directory/LDAP service. 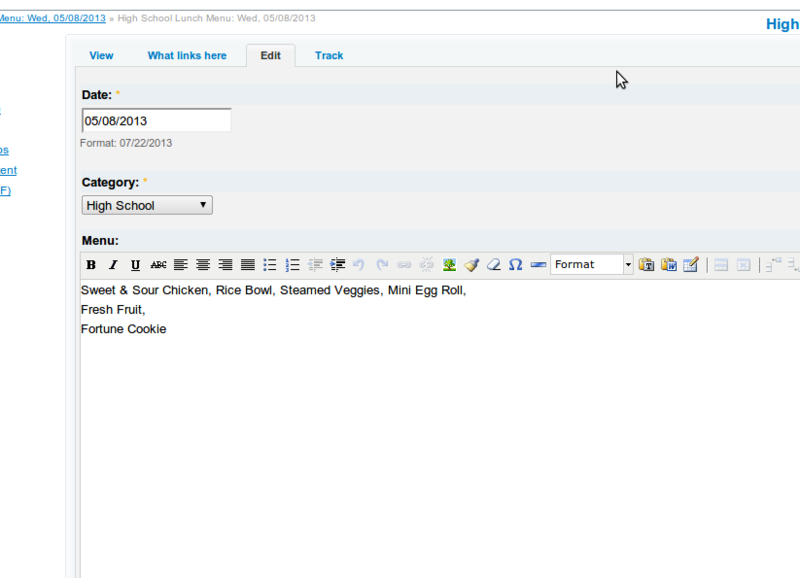 Bellingham School District reengaged with Freelock in 2013, asking for new methods for managing lunch calendars and athletic forms. We developed calendars displaying lunch menus for each of the elementary, middle, and high schools, allowing students and parents to know what was being served each day of the week and school employees to update menus in realtime. We created activities and athletics forms on the site, streamlining sign-ups and saving huge amounts of paper and organization time. The system also lets secretaries and other administrators view members of extracurricular groups and clear them for activity on a case-by-case basis.